If you handle a variety of bulky, odd-shaped packages or products that require a moisture-proof, vapor-proof enclosure, our hand-rotary heat sealer is your best choice. This robust yet portable sealer adapts to your toughest on-the-job packaging challenges for a continuous closure that meets stringent industry regulations including U.S. Department of Defense MIL-SPEC standards. Portability makes PackRite's Hand Rotary Sealer one of the fastest, easiest-to-use sealers on the market today. 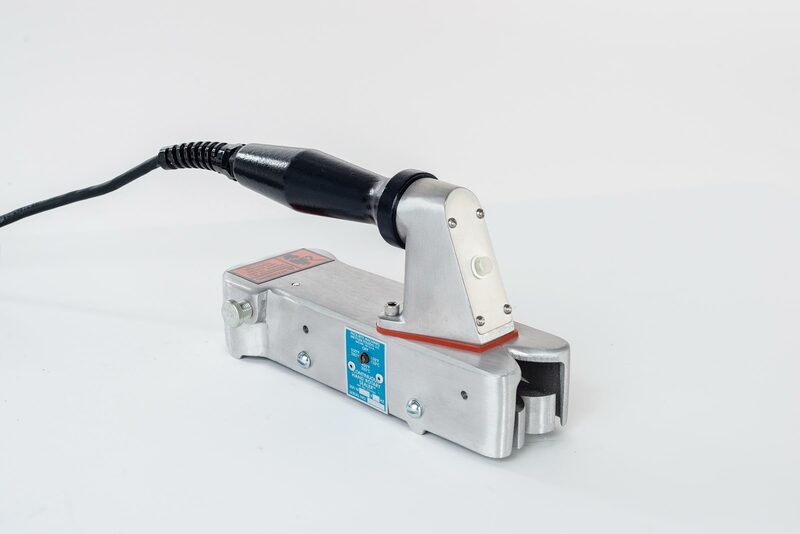 By combining portability with flexible use and speed, our hand-rotary heat sealer will become your go-to tool when handling large, bulky or unique items during fabrication and packaging. Unusual issues encountered by military, government, and overseas packagers require the same level of processing efficiency and accuracy expected in more routine applications. The PackRite Hand Rotary Sealer makes quick work of splices and thick overlaps to provide a high-quality, airtight seal – even under difficult operating conditions. Just because it's portable doesn't mean it's flimsy. The PackRite Hand Rotary Sealer stands up to heavy laminates, foils, and MIL-SPEC materials. On lighter materials, it achieves a sealing speed as high as 400 in. per minute.